Get personalised service with your own travel agent. 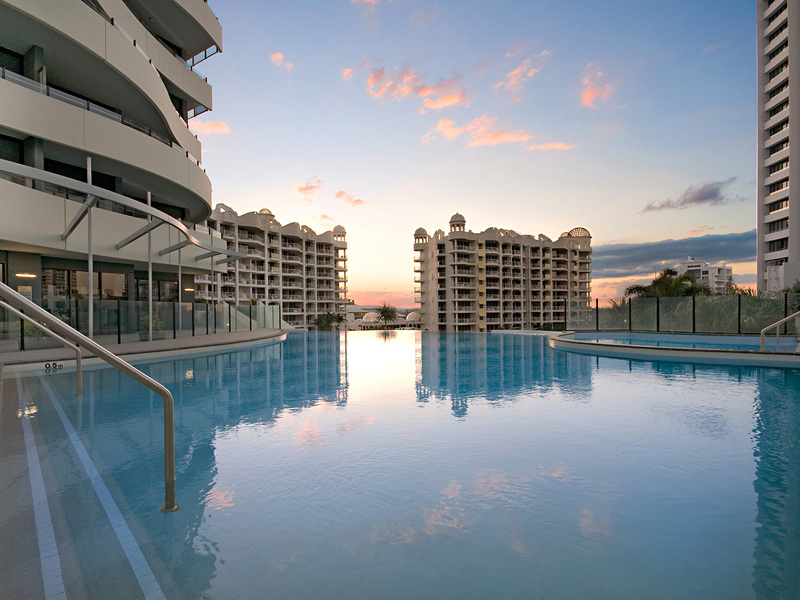 With its refined air of elegance, The Wave offers an unmatched Gold Coast holiday experience! 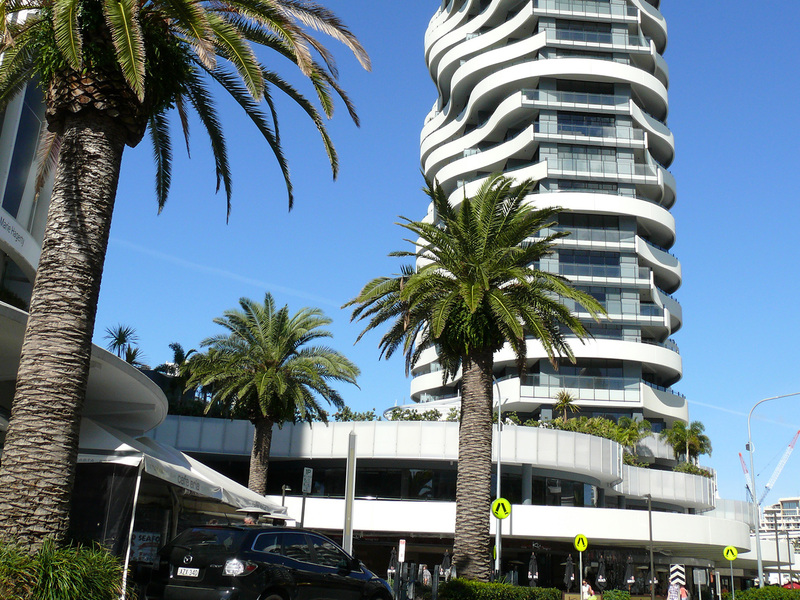 Perfectly located in the heart of Broadbeach's café and dining precinct, this spectacular, award-winning building is an absolute masterpiece of design excellence. The Wave Resort offers a combination of stunning apartments and high quality guest facilities to create the perfect holiday choice for prospective guests. With spacious 1,2 and 3 bedroom apartments plus a selection of sub penthouses with easterly views, each apartment is designed to impress with outstanding facilities and design. 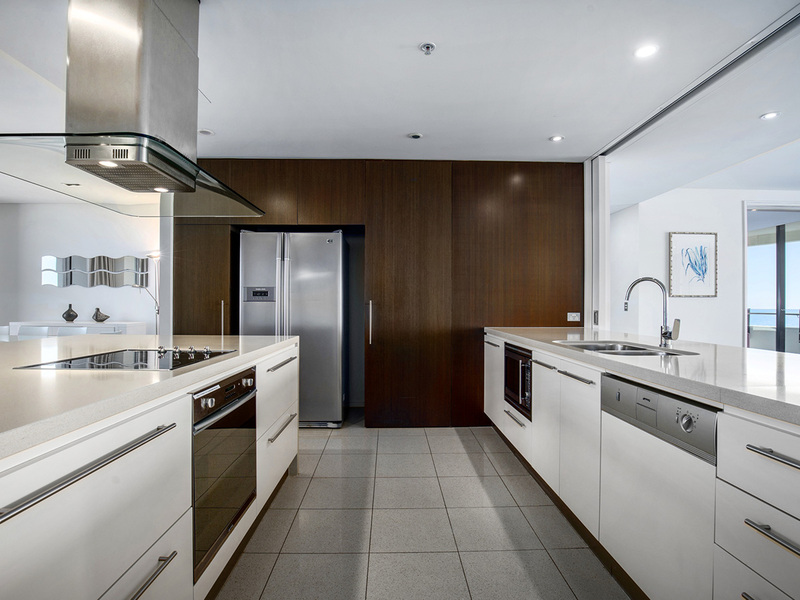 Apartments are equipped with state-of-the-art gourmet kitchens and fitted with quality furnishings throughout as well as Foxtel IQ Platinum cable TV. 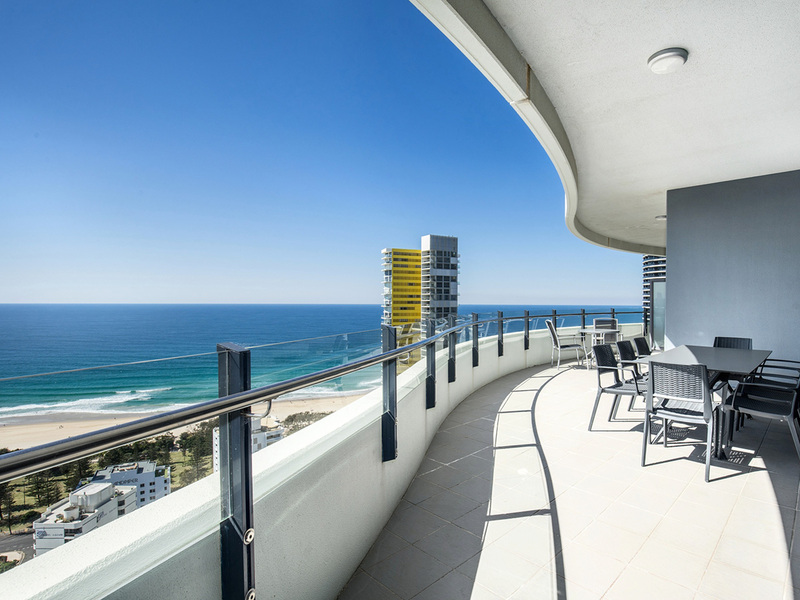 A private balcony is designed to offer stunning panoramic views sweeping across the entire Gold Coast and hinterland region. With clear warm water and plenty of space to soak up the sun, the Infinity Pool is an irresistible amenity, especially in the warmer months. The Infinity Pool is situated on level 4, next to the health & fitness area and has plenty of sun lounges available to keep an eye on the kids or relax in the sunshine. 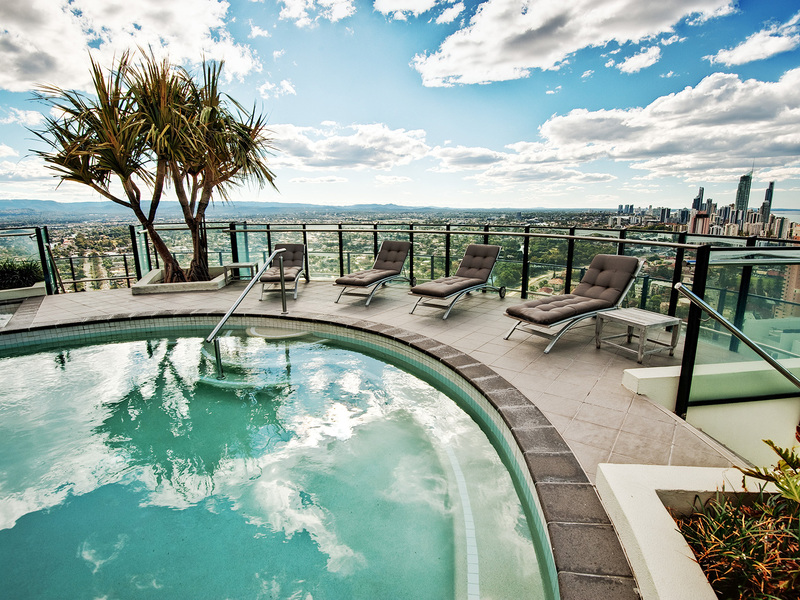 Swim on top of the Gold Coast in the Sky Pool located at the highest point of the building on level 34. Feast your eyes on spectacular views as you swim and relax in this contemporary designed rooftop pool. 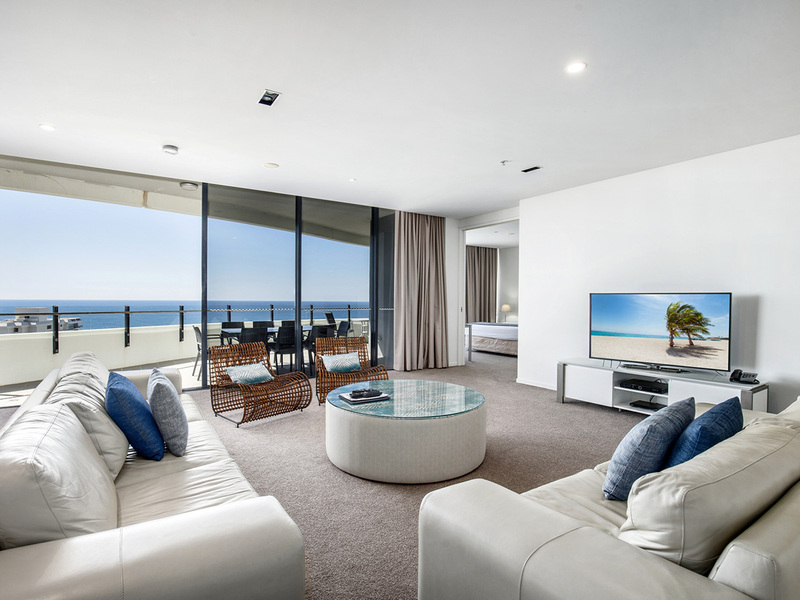 Experience Broadbeach accommodation like no other when choosing to stay at The Wave Resort. Parking Free car parking for one (1) vehicle per apartment. The resort has a No Party Policy which is strictly enforced. This is a Non-Smoking building - smoking is not permitted in apartments, balconies or common areas. This property does not have the policies, procedures or resources to accommodate the unique needs of school leavers bookings during the annual Schoolies period. In particular, it does not offer adequate resources with regards to security personnel to guarantee the safety of this unique group. For this reason, The Wave reserves the right to reject bookings from school and / or university leavers for this entire school leavers period. Get personalised service with your very own travel expert. Copyright © Leisure Group 2017.